By day, Dan Clarke and Jake Smith run JP74, a digital design agency based in the UK, but by night they're passionate gamers with a love of retro. Given their design background, it should come as no surprise to learn that the duo has successfully combined interactive entertainment with art, having already produced limited edition prints celebrating the Sega Mega Drive. Their next venture focuses on one of Nintendo's most underrated pieces of hardware: The GameCube. We sat down recently with the pair to discuss the project. Nintendo Life: Can you give us a little background on yourselves, from a gaming perspective? Dan Clarke: Like a lot of people my age, I grew up with consoles. I have a brother who's three years older and I remember him getting a Mega Drive / Genesis for his birthday, but I was always a bigger fan of Nintendo stuff and my first console was a SNES. We spent a lot of time travelling when I was younger so I probably went through every iteration of the Game Boy, and my dad happened to be in Japan when the N64 launched so he picked one up for us. I've since owned every major Nintendo console — apart from the Wii U.
Jake Smith: Being older than Dan, I grew up on 8-bit home computers and moved into consoles with an imported Japanese Mega Drive. Since then, I've had pretty much every console, learned Japanese at college to help with translating Japanese gaming mags, worked at Sony Europe play testing games, and now collect rare and interesting consoles and spend far too much time on eBay while running a digital agency. Dan Clarke: I think a lot of people in the creative industry who are of our generation will definitely cite video gaming culture as a big influence on their work. I don't get as nearly as much time as I'd like to play games now, but I've just bought a 3DS and I'm hooked on Animal Crossing: New Leaf. Nintendo Life: What inspired you to start this project? Dan Clarke: It's really just about combining two things we enjoy: graphic design and video games. After we completed the MD-001 project me and Jake had a bit of back and forth about what to do next. 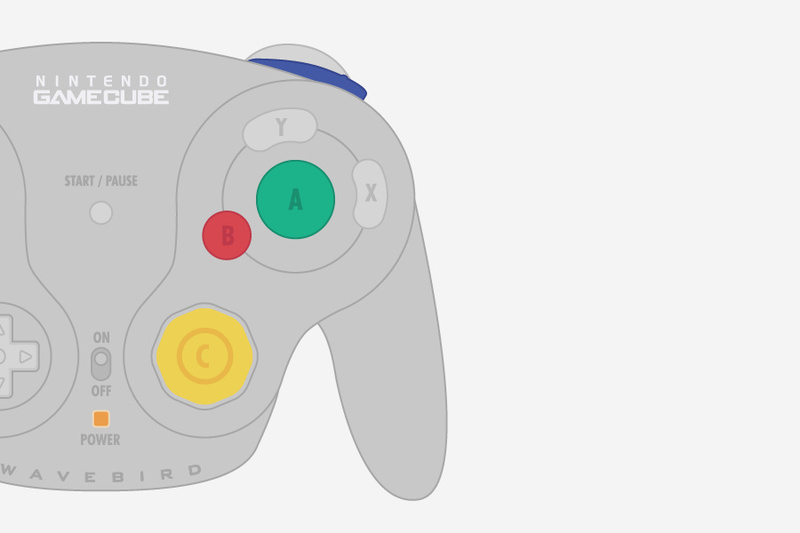 We had initially discussed some of the more obvious ones (NES/SNES) but I feel like they've already been covered quite extensively in terms of design/homage/tributes, so we decided to go for something much less obvious — we both really like the GameCube not just from a games perspective, but as a piece of design and as an object. Jake Smith: We were discussing which consoles were iconic, and that'd be coming up to "collector" status soon in their life span, and we started discussing GameCubes. We agreed early on that we both had to agree on the subject matter, but once we'd mentioned the GameCube, nothing else really got a look in. Dan Clarke: In comparison to the previous project — which felt quite "arty" — this is a little bit more intricate and crafted. We're also involving people from the gaming press to contribute their own experiences with the GameCube and we'll be applying those to the prints. We're also keen to tap into some of the excitement that comes from collectable things, so we're restricting all the prints to very low numbers with no reruns. Nintendo Life: What are your aims with this venture? Dan Clarke: I don't think we have any specific aims other than to have a bit of fun whilst creating something nice. This certainly isn't a money making exercise — we would have just done a 10,000 print-run of a SNES poster if that was the case! As with the last project we'll be pushing anything we make from this one into whatever we decide to do next. Jake Smith: It's our way of contributing back to the gaming community that we've enjoyed so much for so many years, fuelled more recently by Twitter and the ability to connect with gamers, writers and producers across the world. We want to feed back into that, and do something that people will admire, and we'll be proud of. Even if it's small scale, we want to do this to the best of our ability. Nintendo Life: When do you expect people will be able to place orders? Dan Clarke: I don't think we're very far away. We have some parts to finalise in terms of layout and materials but I'd like to think some time in September. I think it's important that people are able to see exactly what it is that they're getting as opposed to just mock ups, so we'll only put it on sale once we actually have everything ready to send out — and we have some nice photographs to prove it. 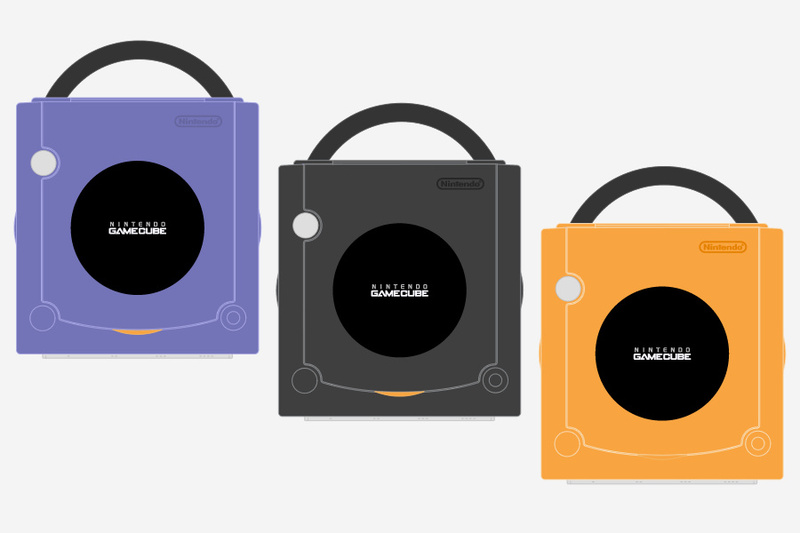 The Japanese GameCube launched on September 14th, so that would certainly be a nice date to aim for if we can. 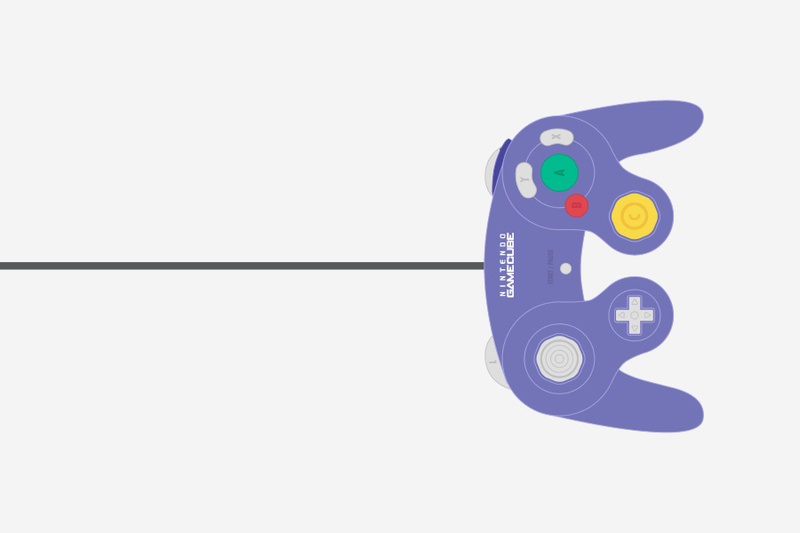 Nintendo Life: Do you consider the GameCube to be something of an underrated system? Dan Clarke: I think so. For me, it's the last home console there was that felt more like a toy and less like a set top box. New consoles are so serious and inconspicuous, they just don't look like they're designed as objects you have fun with — which I guess is a bit of a reflection on the way the mainstream industry is heading these days. More games consoles need to be bright orange and have a handle. Jake Smith: I agree with Dan. It's the last real "fun" system, and despite being overshadowed, it's still got some great games. I really like Luigi's Mansion, Mr. Driller: Drill Land and I adored the art direction of The Legend of Zelda: The Wind Waker. It gives me a type of gaming experience I don't get on other systems…and I love that controller! Nintendo Life: What other Nintendo hardware do you have a strong connection with? Dan Clarke: I can't decide between the N64 and the SNES. I'll go with SNES as it was my first console. Jake Smith: Game Boys. I must have about twenty of them, from a biverted modded original Game Boy, Tezuka Osamu Game Boy Light through to a screen-modded spice GBA. Yep, still not buying it - games can never and will never be art. @LunaticPandora Wow, what an incredibly narrow-minded viewpoint. Games feature artwork, so by their very definition they are art. Look at the rise of pixel art, for example. Also, you're totally missing the point of this project - it's an artistic venture which celebrates the physical design of the console itself. To me, the GameCube is most definitely a work of art - it's a gorgeous machine, clearly designed to be visually appealing and pleasurable to handle (hence the, er, handle). Muramasa the Demon Blade? Ever heard of it? @psuboy172 Muramasa is a painting in motion. That is one of the few games that prove that they can be art. I suppose films, animation and theatre aren't art, either? I thought it was Dan Clarke from "How Not To Live Your Life"
The gamecube, for me, was the defining point of what a console should be like, nice, compact, and fun. Now, the only square console to be released is the XBone, and that only looks stupid. @Happy_Mask Ever heard the term "less is more"? It is great to see others who like the GameCube (its games and its hardware design) as much as I do! Dat orange GameCube, I defecated bricks! The GC design was a bold statement for it's time. I liked the Wii minimalistic design that followed and with that blue light it was quite pretty too, but the Wii U is so similar to the older one that it looks bland and uninspired. Nintendo, don't be afraid to make colourful, more toy-like designs. The world needs another cube-shaped console. @LunaticPandora Art is everything dude aslong as it has been designed with a unique concept. Film is art, gaming is an art form, skateboarding is an art form etc. If you think the definition of art is a painting or drawing thats framed then I think you need to get out more. @LunaticPandora Everytime someone says this, I always like to mention Okami. Play it and tell me it isn't art, I dare you. Loved it so much I bought 2! Black and white... ebony and ivory, if you will. @LunaticPandora THE PROPHET SPEAKS! Someone write this down! @LunaticPandora I think Shenmue is a work of art. (You don't really get art until you throw commercial considerations out of the window). @Damo I don't think anyone does pixel art properly these days. (Not seen any of the new stuff even being better than Neo Geo quality. Never mind some of the Saturn stuff). Gunlord is probably the only recent thing that even tries with it. Don't think I would consider it art though. Ah the Gamecube. Back when Nintendo was a true competitor against Xbox and PS. It had amazing games, amazing visuals, and honestly if the PS2 was a little less awesome it might have gained more recognition. Weirdly, I got my Gamecube out at the weekend to play some Double Dragon Advance on the TV, and was reminded how cool the system looks (even with the Gameboy Player attached). "More games consoles need to be bright orange and have a handle". Gamecube is definitely one of my top 5 consoles ever, home- and handheld-. The cube gave us the last great Paper Mario game, the best Smash Bros to date, the last great Tomb Raider game [Legend], Resident Evil 4, Zero and the definitive version of the first game, the best version of the original Metal Gear Solid, the best home console Fire Emblem [PofR] and the best F-Zero to date - then there's the Metroid Prime series and then original IPs like Pikmin, Luigi's Mansion, Toon Link, Chibi Robo, Eternal Darkness, Tales of Symphonia...and the freakin Wavebird! Cube is the most underrated system of all time. With this project we're really not trying create art - it's definitely more a piece of graphic design and the craft and finish of the final product will represent that. We have a twitter account (@dol001) which we update regularly and we'll be running a launch competition on there too! ^^ only came out in Japan I believe; certainly only ever got the controller in Europe. They caught me with the article title and line. Orange being my favorite color, I'm all welcome for orange consoles. It's like we get every freaking color but orange now. @Capt_Charlie Like usual. :l You can import and play NA games too. @LunaticPandora Why can't games be art? I do believe the orange GameCubes are rare, I only saw an orange GameCube once at a Target or BestBuy a long time ago early on in the GameCubes release, at the end of the GameCubes life the only colors available were I lived was black and silver. Always loved the gamecube still have my indigo one. Never could find any other color besides that and black.. I even had the cream orange color remotes but other than that nothing. @Sanqet Great example to bring up here. Art is in the eye of the beholder, I suppose. Personally, I think video games are rich with art. @Meaty-cheeky I searched on ebay, and apparently they are japan imports only. I still have my platinum Game Cube packed away in storage. I have to say the design was one of the best designs of a game console. For one thing it was so easy to take back and forth to a friends house. Also it looked like a game console. Consoles to much today look like a computer or DVD player or some other type of electronic device. Also the Game Cube had my favorite controller of all time the Wavebird. The black Gamecube may be one of the coolest things Nintendo has ever created (with the exception of the handle)! It looks a lot cooler then a Wii and miles cooler then a Wii u! The menu was also awesome! And it had the best controller! And the Gameboy-player fitted nicely under the Gamecube! It made the whole device a bit longer, but without spoiling the look! And it worked fine! Only downside was that you needed a start-up disc! Put shortly: The Gamecube had personality, while the Wii u has none!! GameCube was just the right way to do a console - amazing games, perfect controller and an overall form that was powerful but didn't overheat. I hope one day I'll enjoy another console as much as the GameCube. I didn't like Super Mario Sunshine, its my least favorite 3D Mario. so the Gamecube always felt like a system without a good Mario game to me. Incomplete. It didn't give me that same satisfaction of owning it like the NES, SNES, N64, and even the Wii/Wii U. Eternal Darkness was great however. Metroid Prime 1-2, Pikmin 1-2, Zelda WW, SSX 3, the system's carry handle, the wavebird, lots to like etc, but no cool Mario game. IMHO the GameCube was the best designed console in terms of aesthetics. I don't play with mine but I like seeing it on the shelf. @LunaticPandora So much negative energy in one post... We must store it for energy! @LunaticPandora Hahaha talk about missing the point. @Rerun I'm the same; I don't play it a great deal anymore, but it's good to see it sitting alongside all my other (less characterful) newer consoles. It is good to fire it up every so often, to play OoT or WW. Well, that's why I prefer Nintendo. Because it's not a boring set-top box on which I watch interactive movies. Although, interactive movies can be fun too. @Cruznbaby85 I still play my gamecube and love my collection of games as i never trade my games.Own all nintendo consoles and gamecube is my favorite next to the SNES being my 1st. Easily one of the best libraries on any console, with Metroid Prime, Ikaruga, Baten Kaitos, Pac-Man Vs., F-Zero GX, REmake, Crystal Chronicles, Pikmin 2, Super Monkey Ball, Viewtiful Joe, Rogue Leader... I really could go on.